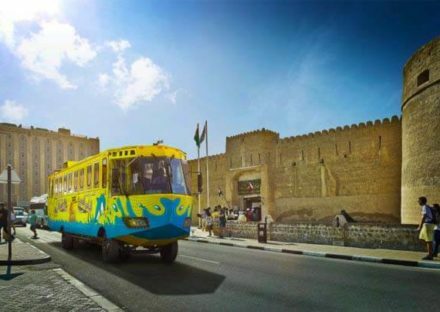 Rayna’s Wonder Bus Tour assures you of an as-never-before, magical sightseeing experience in Dubai. 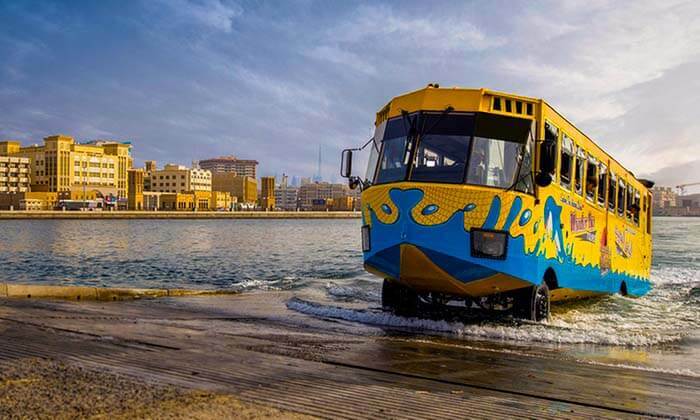 Wonder bus, manufactured in the US, is first of its kind to be introduced in the Middle East. 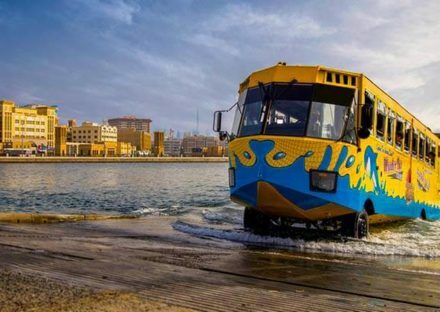 This classy vehicle will take you on an incredible trip to revel in some of Dubai’s most famed attractions from both land and water. 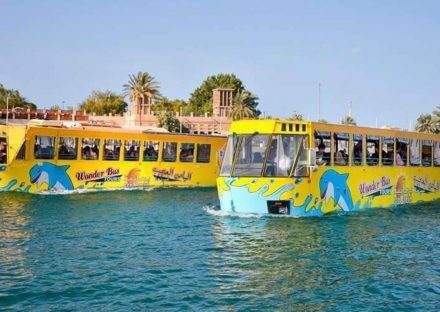 Attention to detail, up-to-date and highly safe – this amphibious bus can seat up to 44 people and comes with facilities including air-conditioning, sound system, washroom, and television and DVD player. 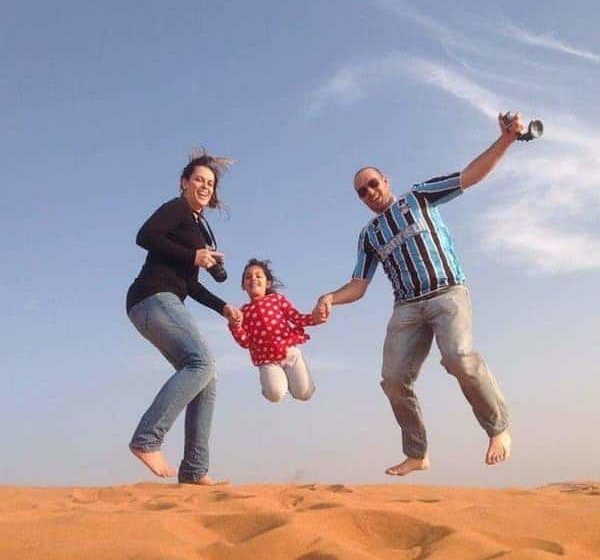 Moreover, it provides access to the services of professional tour guides who can speak English, Arabic, and French. 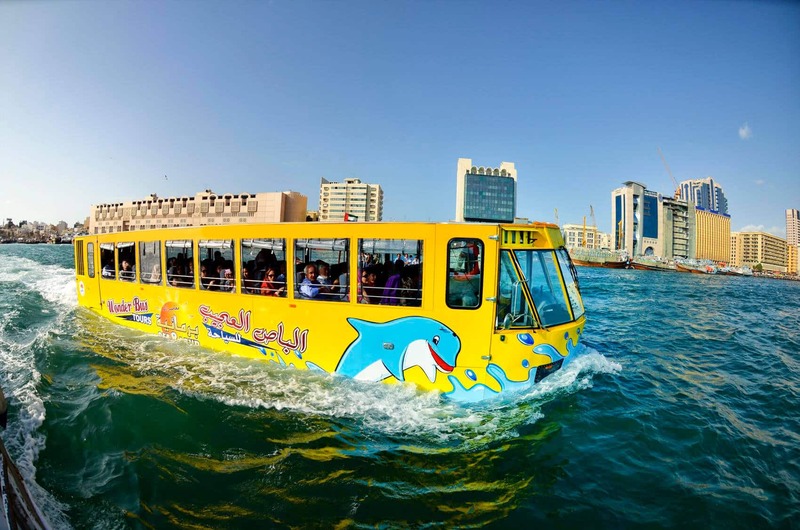 Departing from Mercato Mall, Jumeirah Road – one of the emirate’s hotspots and continuing through Al Wasl Bridge and Wafi City Centre, this two-hour tour not only allows you to explore the contemporary stylishness of Dubai but also absorb in the breathtaking sights that embody the region’s classic past. 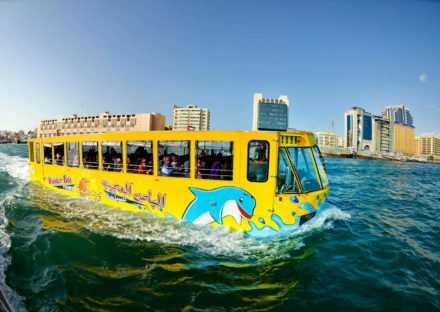 Perhaps the most thrilling segment of the trip is an enjoyable splash ride along the waters of Dubai Creek. 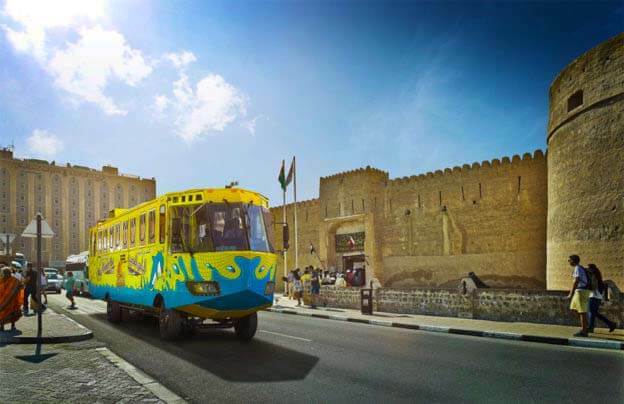 Before the tour ends at Burjuman Centre, we get you through some of the must-visits in the emirate, such as Dubai Courts, Creek Park, Al Maktoum Bridge, Sheikh Khalifa Road, Seef Road, Sheikh Maryam’s Palace. 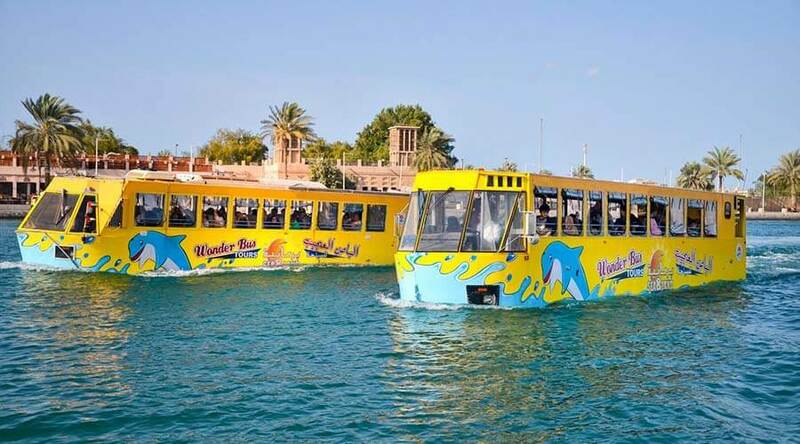 The tour will be carried on for 90 minutes and will cover both land and water passing through the areas as mentioned above. Carry the Tickets & a Photo Id along with you at the time of this activity. 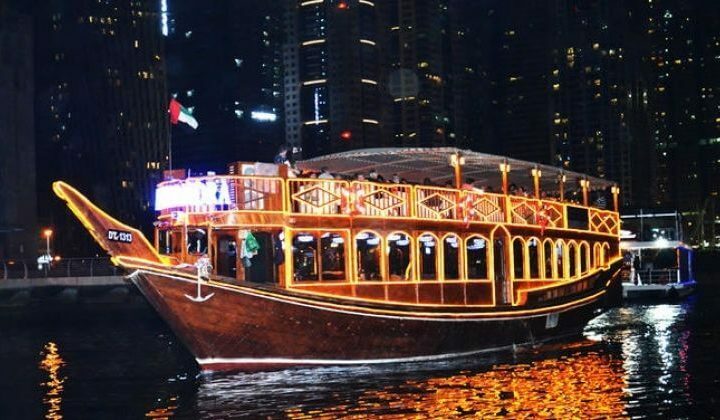 Pick up will be arranged from your Dubai Hotel / Residence only and not from the Airport.